In the last 30 years, we have experienced firsthand the disruption to telecommunications by the smart phone. Our phones are now not only mobile but used beyond voice calls with easy access to mail, camera, music, books, map, shopping, payment and even taxi. We can virtually leave home without anything other than our phones! In the next 30 years, the major disruptions will be artificial intelligence (AI) and robots. Your child will have to co-exist with robots when he/she grows up. Like all technology and innovation, these disruptions will displace many jobs but also create many new opportunities. To ensure that your child has access to these new opportunities, your child needs to learn the language of AI and robots – coding. Just like the rise of China made understanding Chinese language a valuable skill, the rise of AI and robots will make coding an indispensable skill. Like learning any language, it is much easier starting young. This is why ChildFirst is the first trilingual pre-school to integrate coding inside our curriculum. Your child will start to learn coding the age-appropriate way starting from N2. This will be done without the use of a screen (no tablet or computer). You may be surprised that coding can be learned without the use of a screen. In fact, the essence of coding is logical thinking by breaking down a problem into a sequence of steps. Your child will first learn to sequence steps (instructions) by physically moving his/her body so that he/she can internalise the understanding of moves such as move forward, turn right, and move backward. Your child will then learn to sequence steps by placing cards with icons, scan these cards into a robot and the robot will execute the sequence of steps. Through this, your child will learn the basic concept of coding without even touching a screen! In N2, you child will also learn about simple circuits and robot sensors. 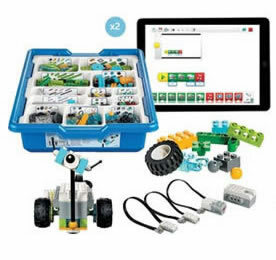 Starting in K1, your child will learn to code using a tablet to control a more sophisticated robot. Besides applying the basic coding concept he/she has learned in N2, your child will learn to control the robot’s distance, speed, angle, sound, and light. He/she will then apply these skills to solve problems such as navigating the robot through an obstacle course. Through this process, your child will learn about estimation, decomposition (breaking a problem into smaller parts), and algorithm (a set of steps to solve a problem). More importantly, your child will be exposed to computational thinking which can be applied in a variety of situations, regardless of how technology changes. Using first-of-its-kind technology, your child will also create his/her own virtual reality (VR). You can download an app to view and share the VR created by your child! In K2, your child will build his/her own robots to develop his/her creativity and innovativeness. They will then programme their own robots. 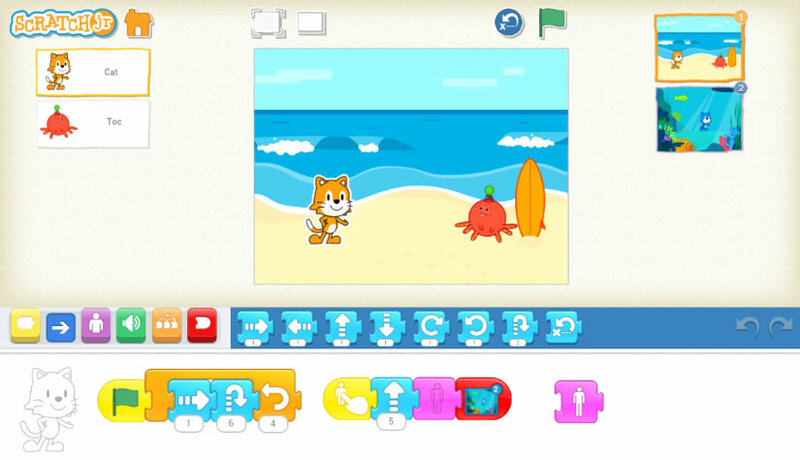 Your child will also be exposed to the world-renowned Scratch Jr programming language developed by MIT to create his/her animated stories and simple games.